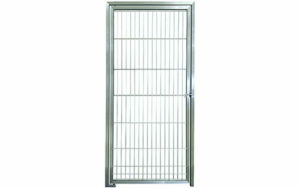 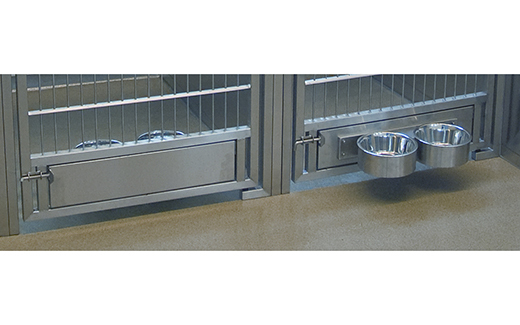 A stainless steel panel that rotate 360 degrees on the kennel door. 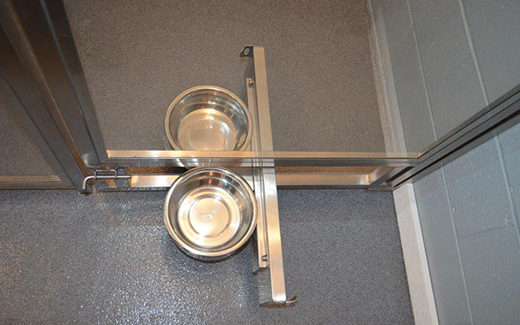 This feature provides easy and safe access to food and water through the kennel door. 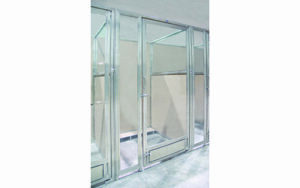 A self-closing spring latch design makes this feature very easy to operate. 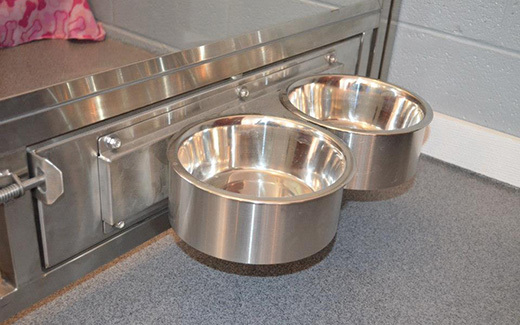 This is an option that can be built into any kennel door manufactured by TriStar. 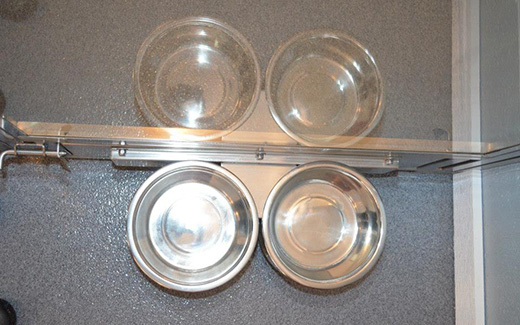 Two stainless steel 2 quart bowls included.